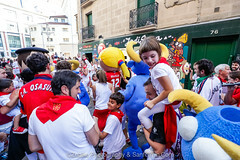 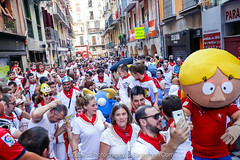 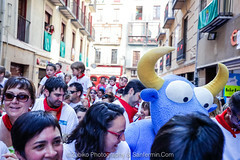 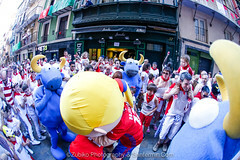 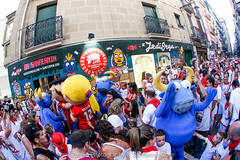 Today there have been a running of the bulls in the afternoon. 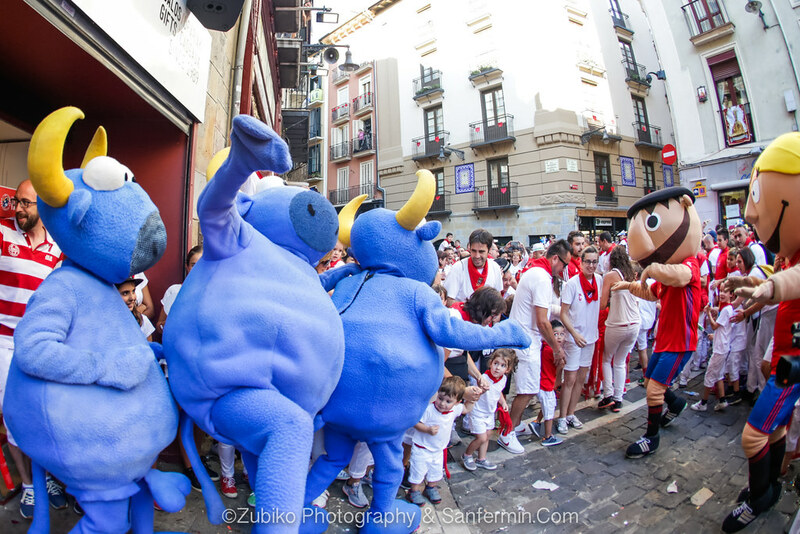 The afternoon event has displayed some rather funny blue bulls. 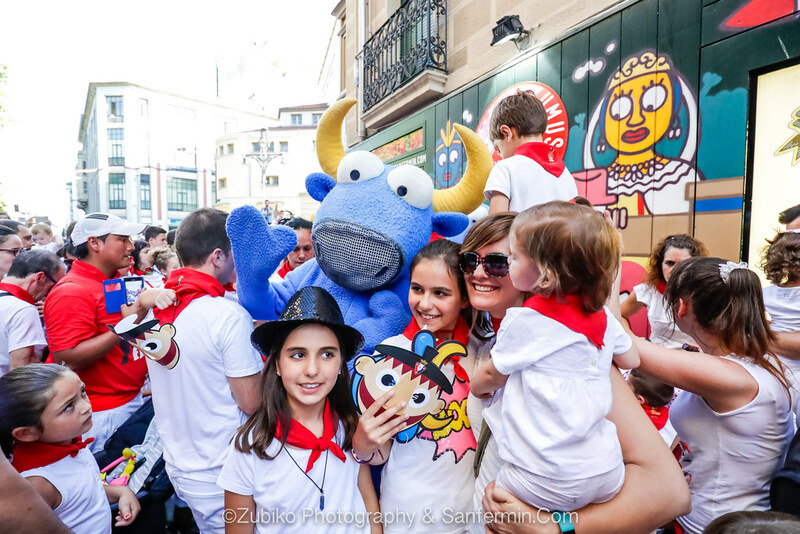 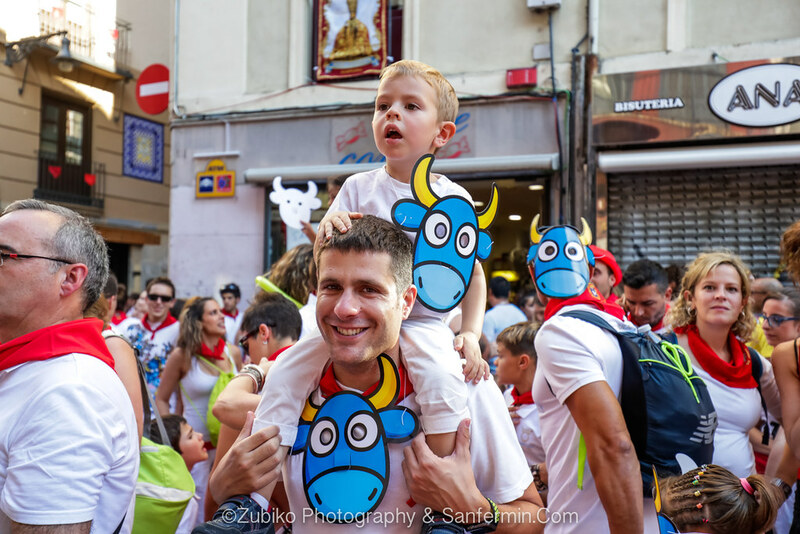 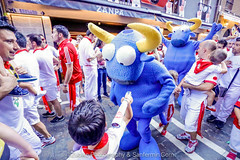 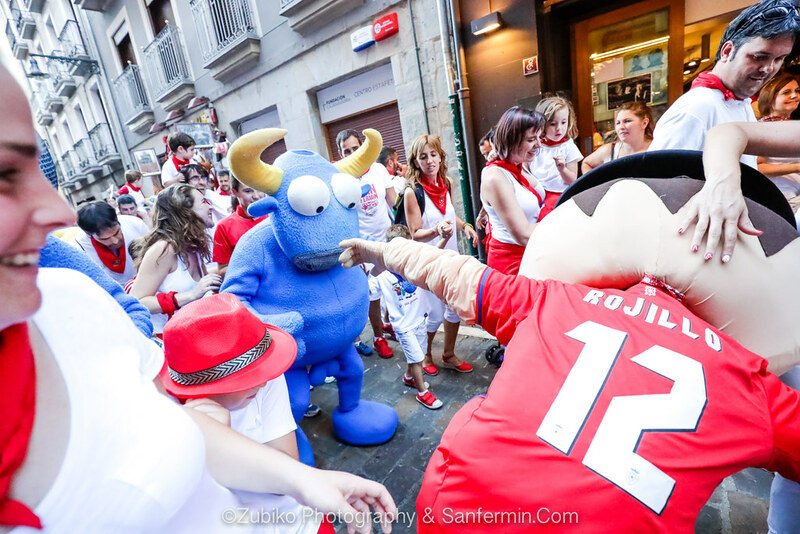 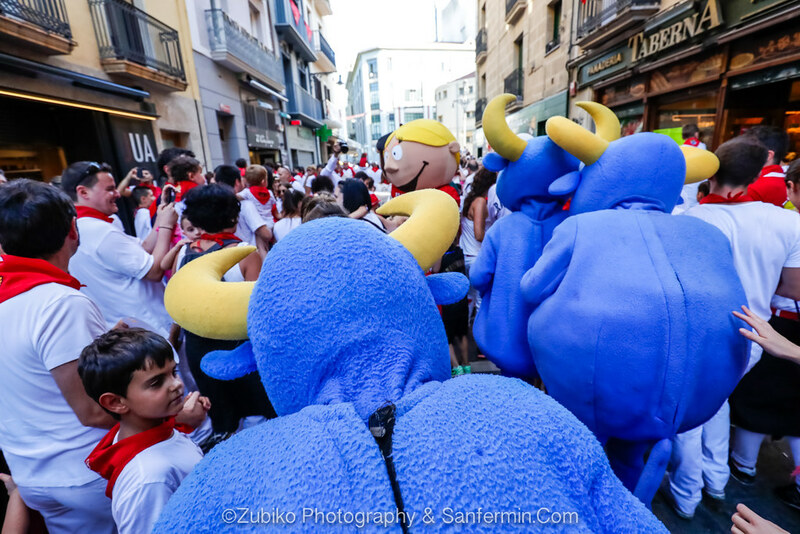 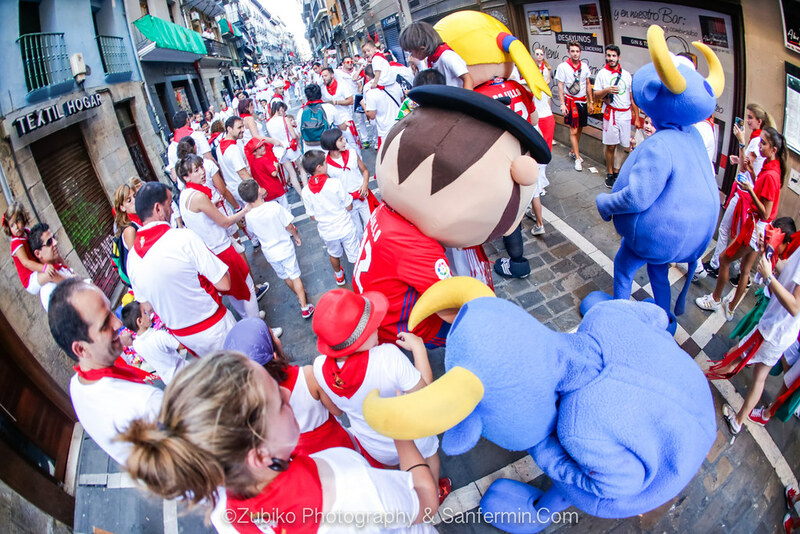 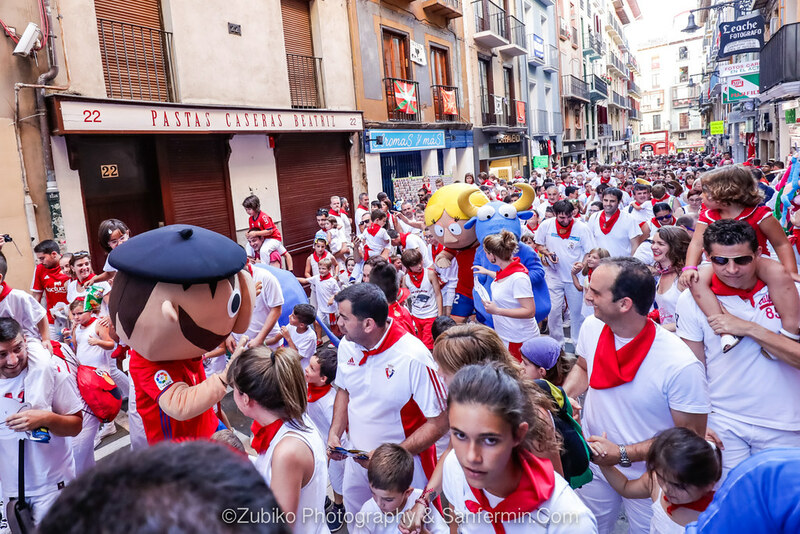 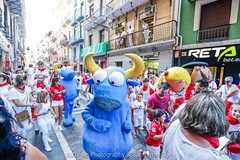 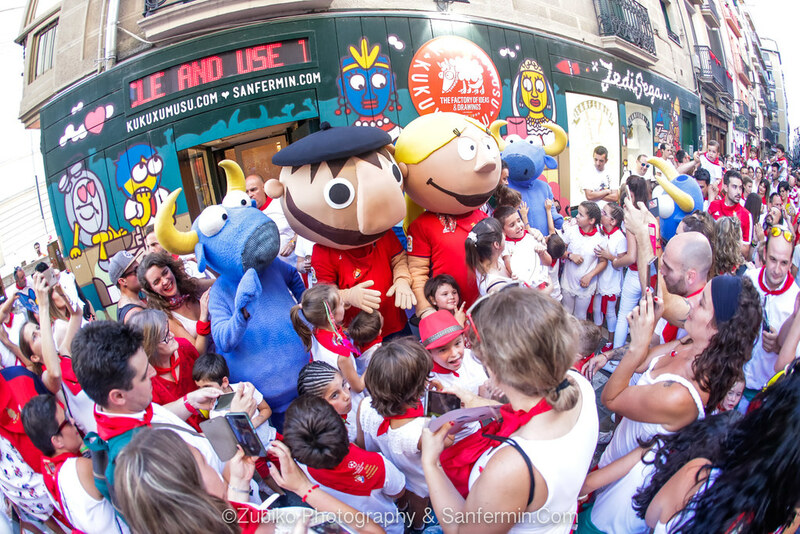 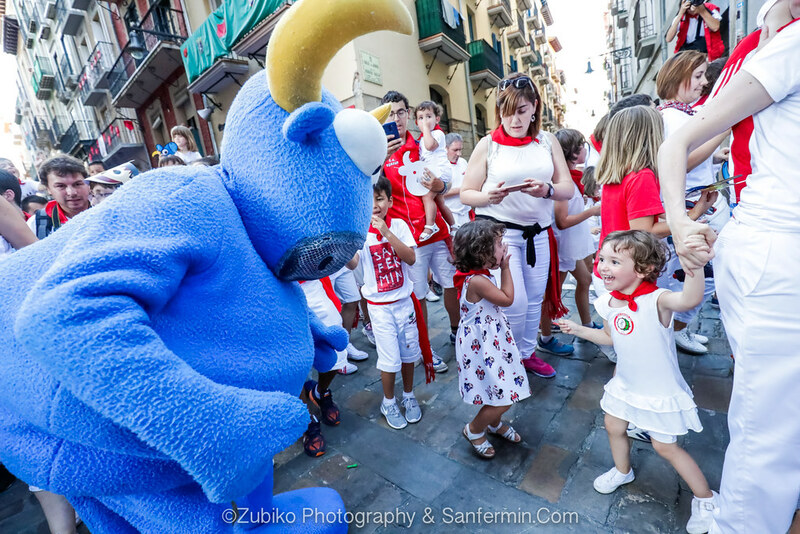 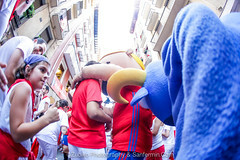 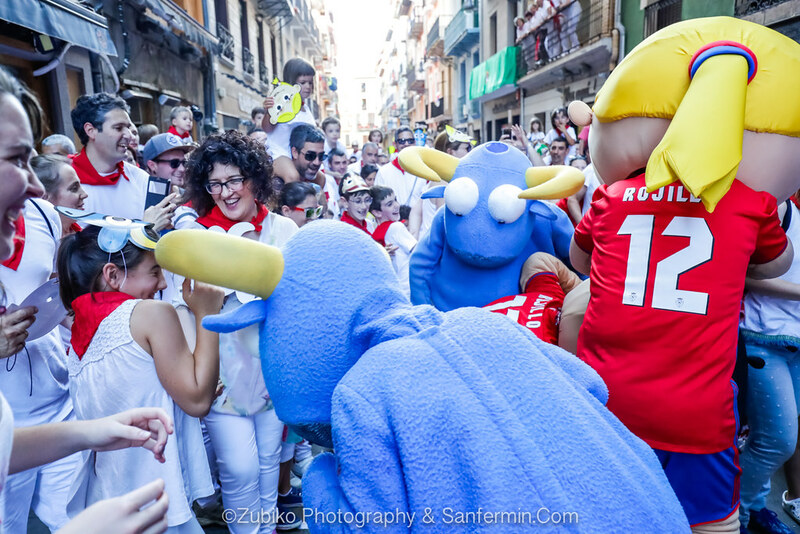 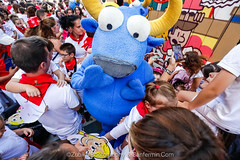 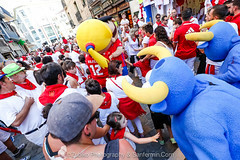 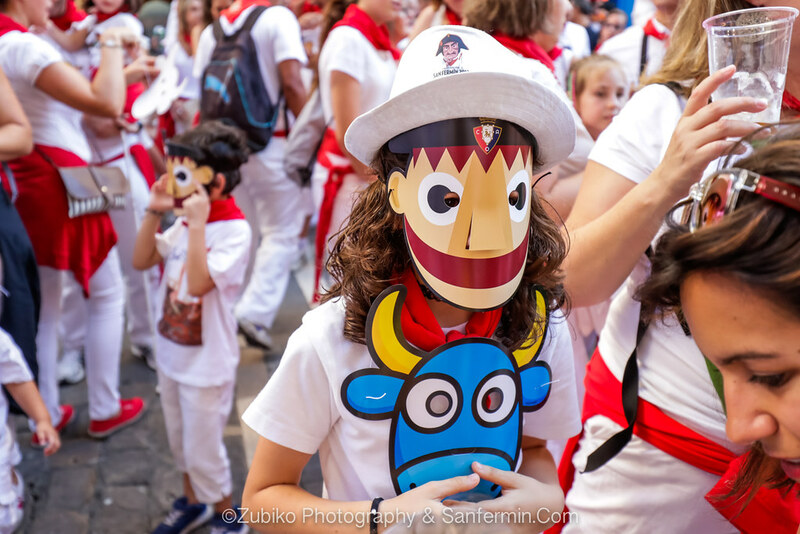 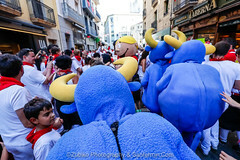 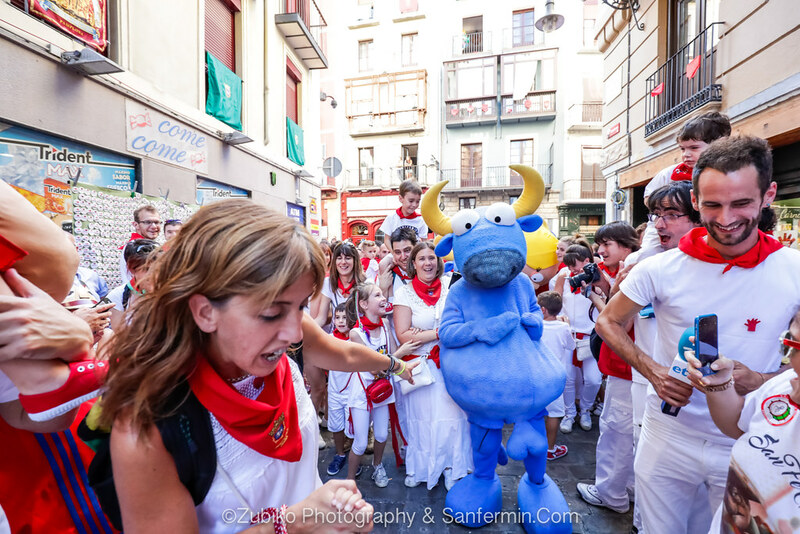 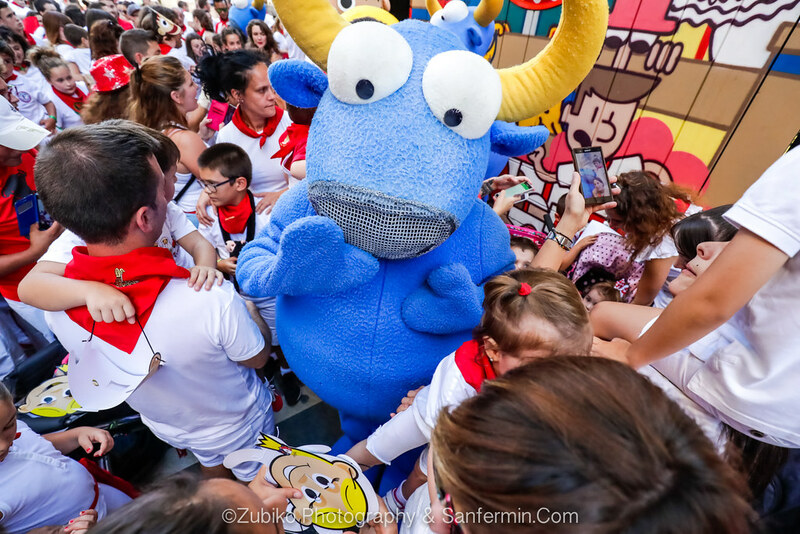 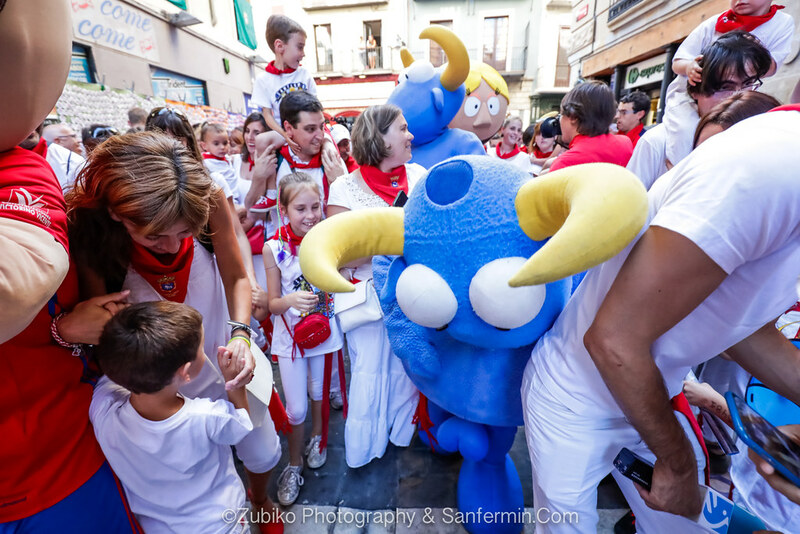 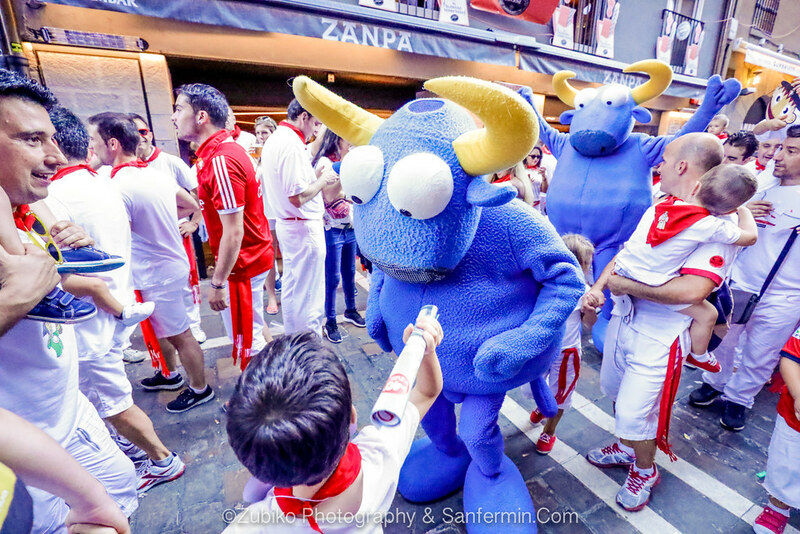 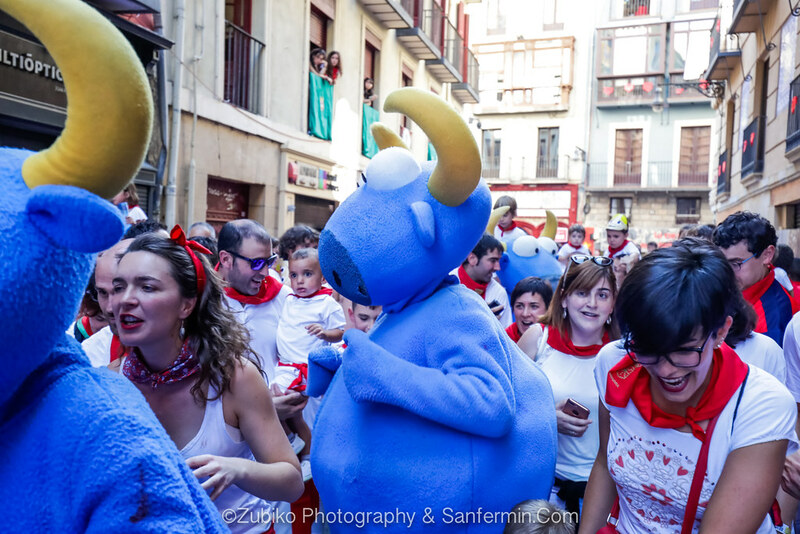 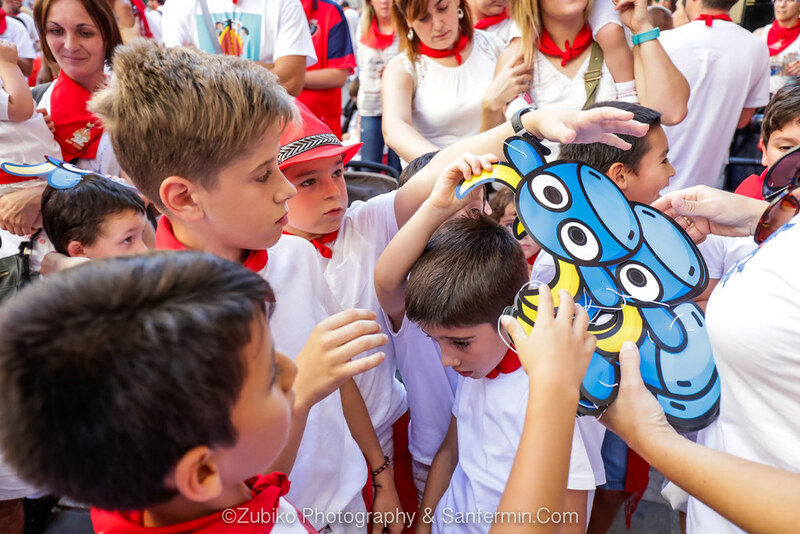 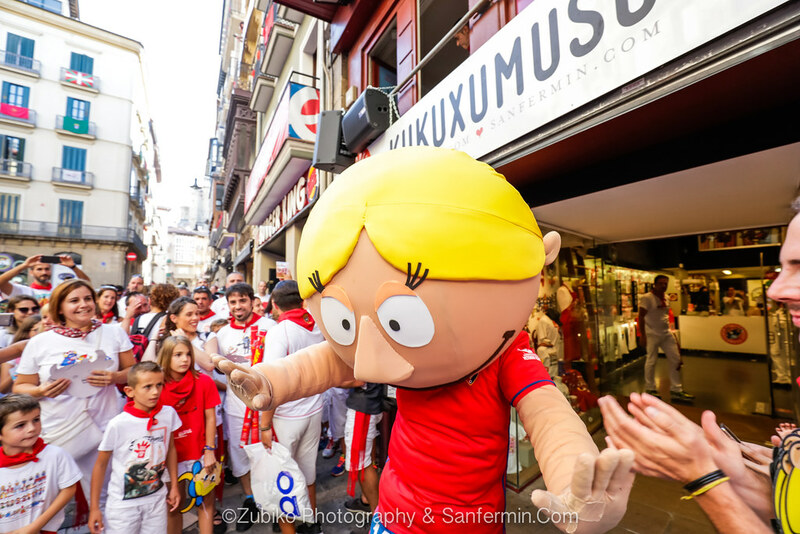 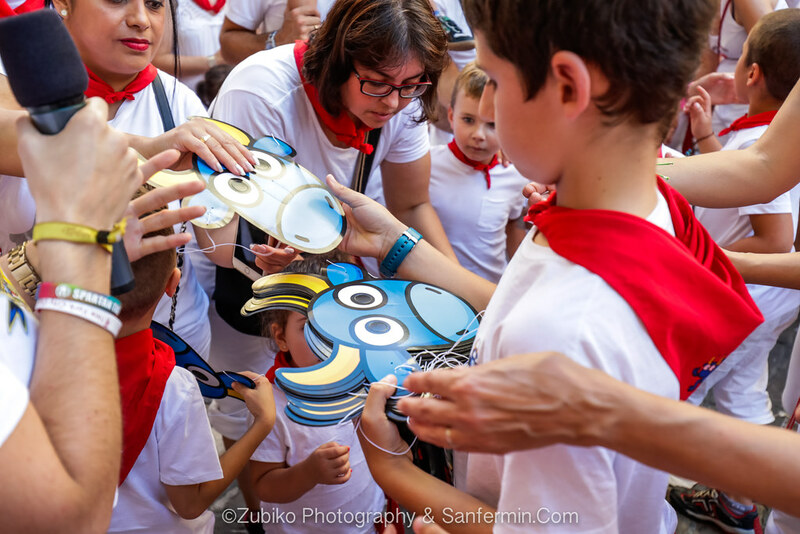 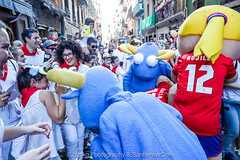 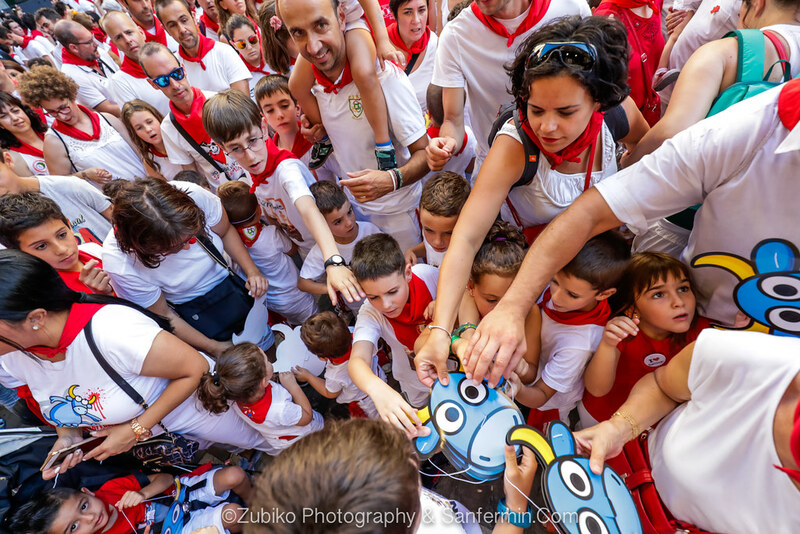 Mr. Testis and his mates from the famous Kukuxumusu bull ranch have returned once again to dazzle the kiddies and not-so-kiddies, in the traditional Txiki Running of the Bulls. 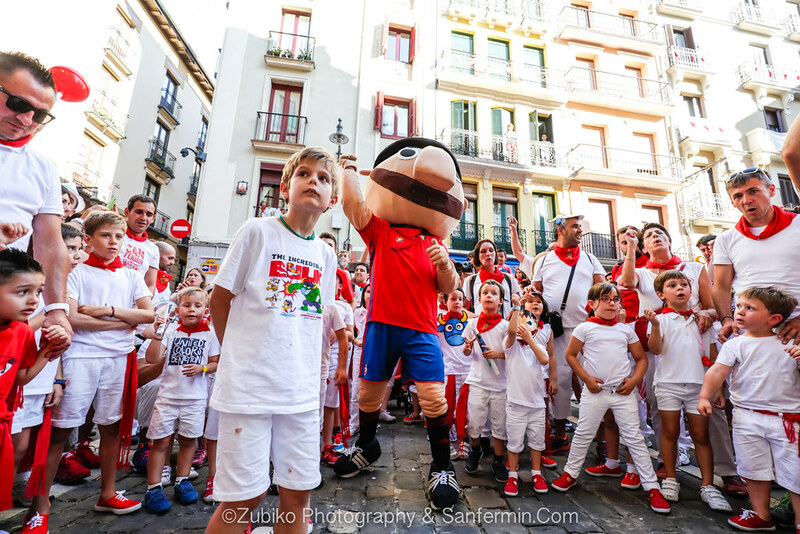 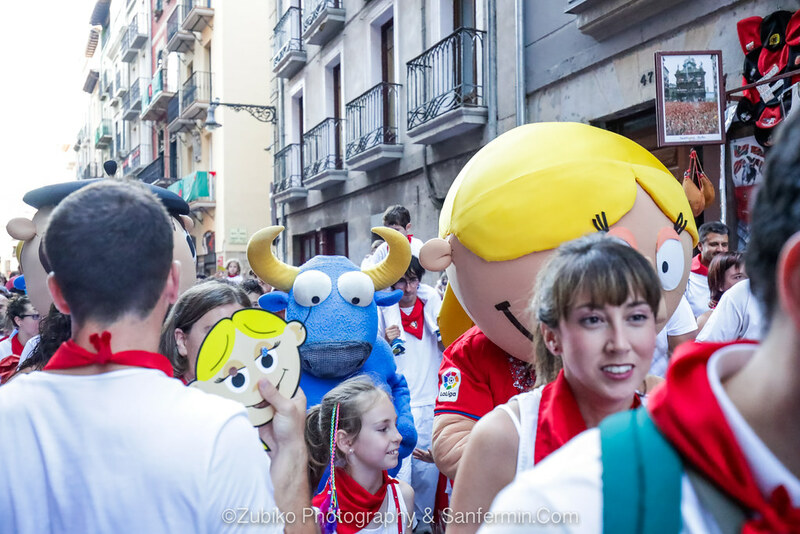 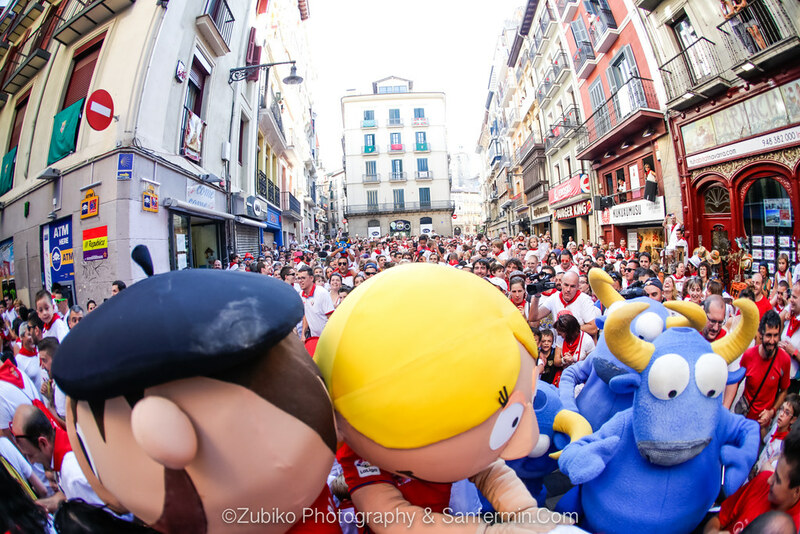 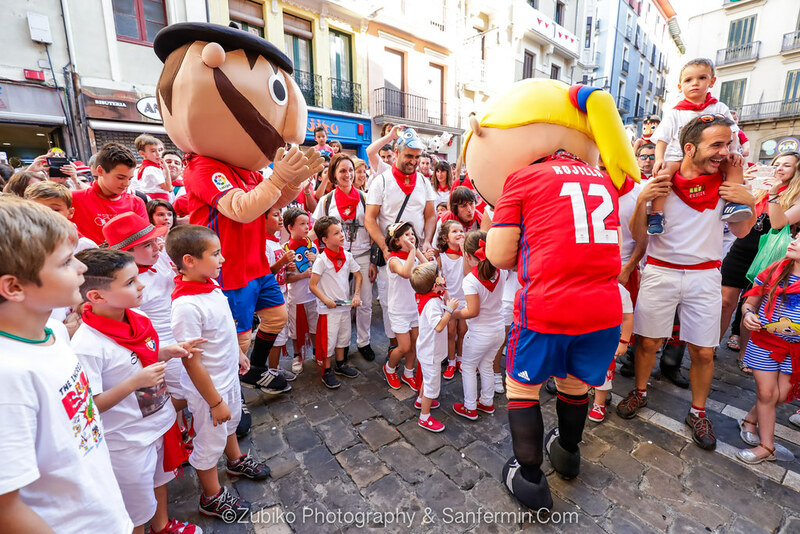 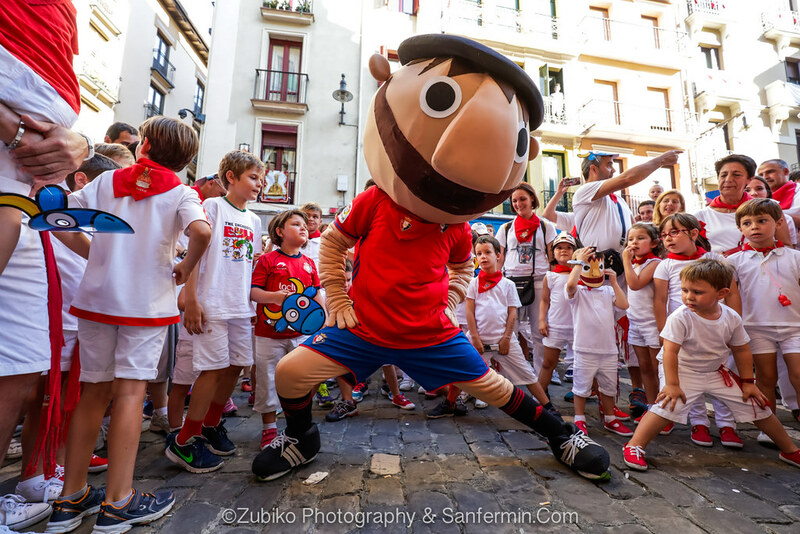 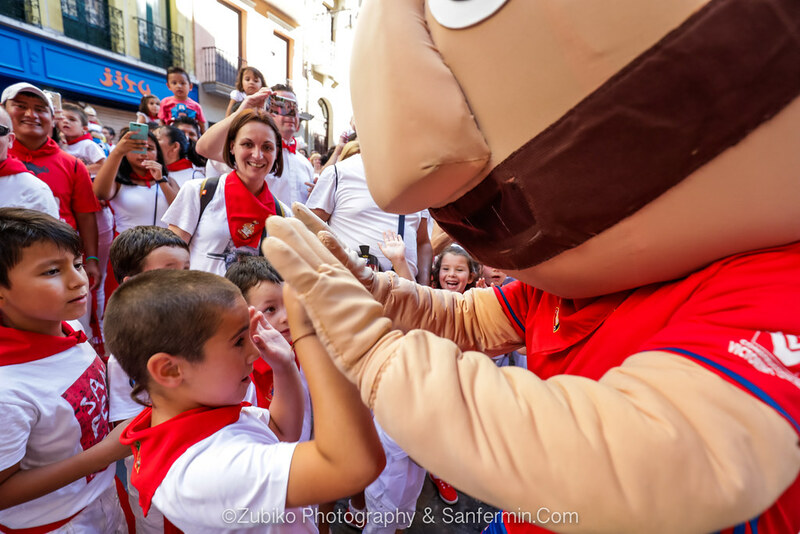 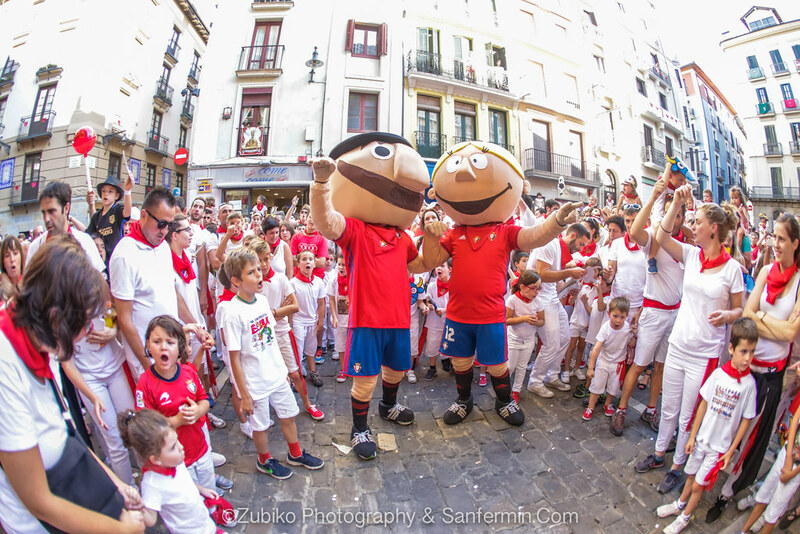 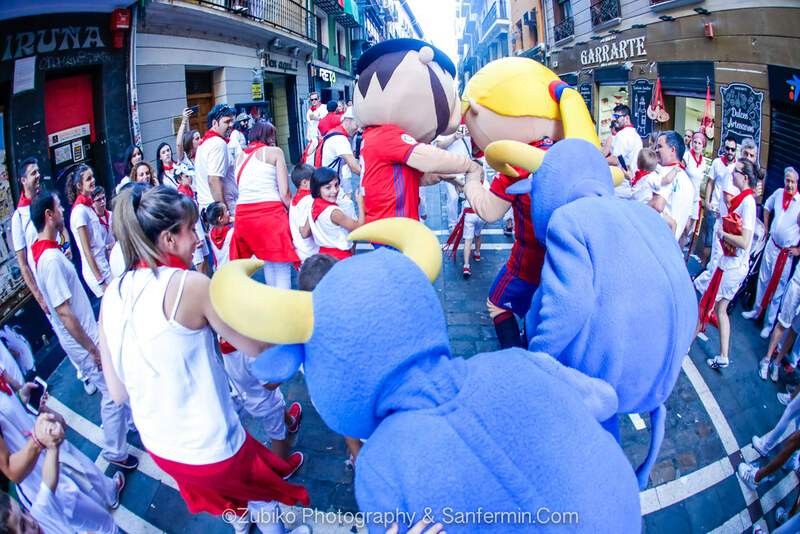 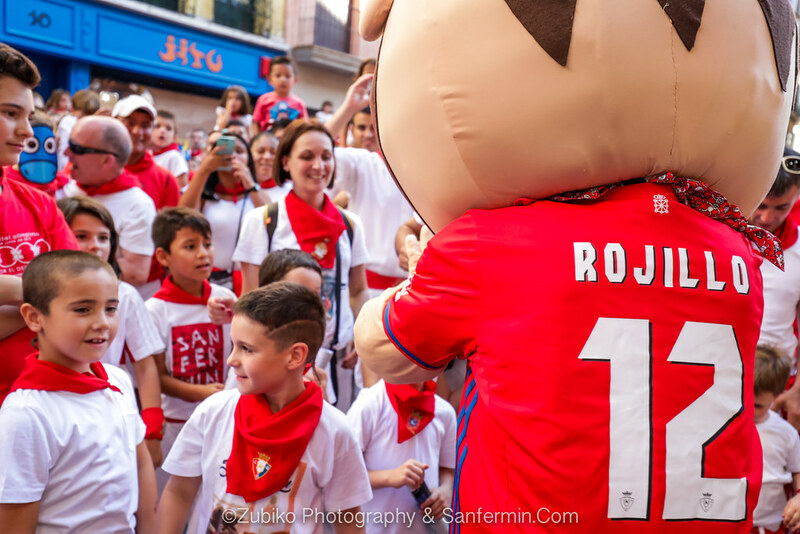 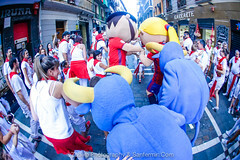 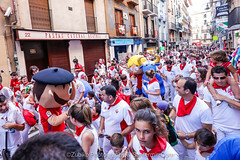 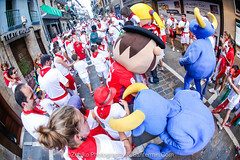 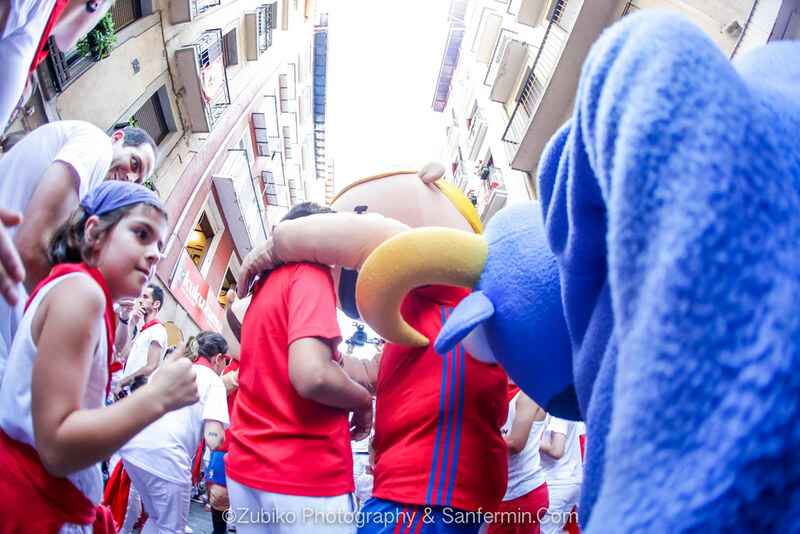 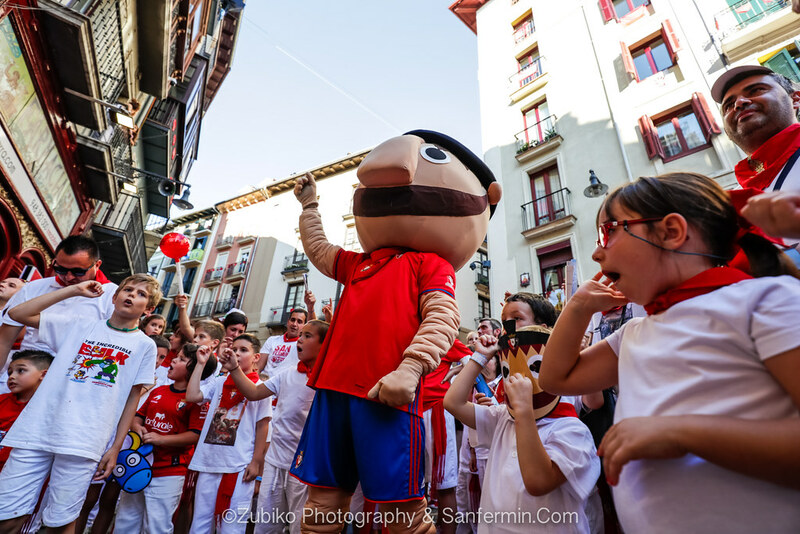 This year we have seen an important novelty with the participation of two special guest runners: Rojillo and Rojilla, the mascots from Osasuna Football Club.